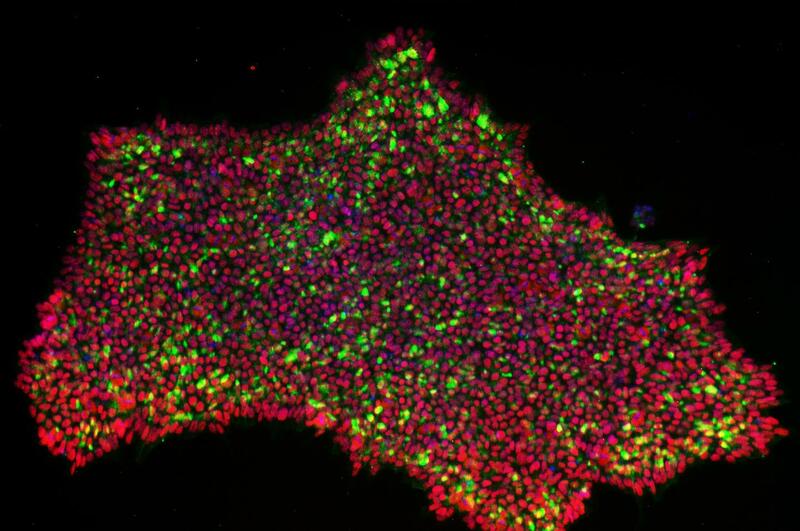 Scientists say that for the first time they have been able to convert skin cells into pluripotent stem cells by activating the cells’ own genes. The team reportedly used a type of CRISPRa gene-editing technology that does not cut DNA and can activate gene expression without mutating the genome. Up till now, reprogramming has only been possible by introducing the critical genes for the conversion, called Yamanaka factors, artificially into skin cells where they are not normally active. The study (“Human Pluripotent Reprogramming with CRISPR Activators”) is published in Nature Communications. “CRISPR-Cas9-based gene activation (CRISPRa) is an attractive tool for cellular reprogramming applications due to its high multiplexing capacity and direct targeting of endogenous loci. Here we present the reprogramming of primary human skin fibroblasts into induced pluripotent stem cells (iPSCs) using CRISPRa, targeting endogenous OCT4, SOX2, KLF4, MYC, and LIN28A promoters. The low basal reprogramming efficiency can be improved by an order of magnitude by additionally targeting a conserved Alu-motif enriched near genes involved in embryo genome activation (EEA-motif). This effect is mediated in part by more efficient activation of NANOG and REX1,” write the investigators. “CRISPR/Cas9 can be used to activate genes. This is an attractive possibility for cellular reprogramming because multiple genes can be targeted at the same time. Reprogramming based on activation of endogenous genes rather than overexpression of transgenes is also theoretically a more physiological way of controlling cell fate and may result in more normal cells. In this study, we show that it is possible to engineer a CRISPR activator system that allows robust reprogramming of iPSCs,” says Timo Otonkoski, M.D., Ph.D., at the University of Helsinki. An important key for success was also activating a critical genetic element that was earlier found to regulate the earliest steps of human embryo development after fertilization. “Using this technology, pluripotent stem cells were obtained that resembled very closely typical early embryonal cells,” adds Juha Kere, M.D., Ph.D., at the Karolinska Institute and King’s College London.